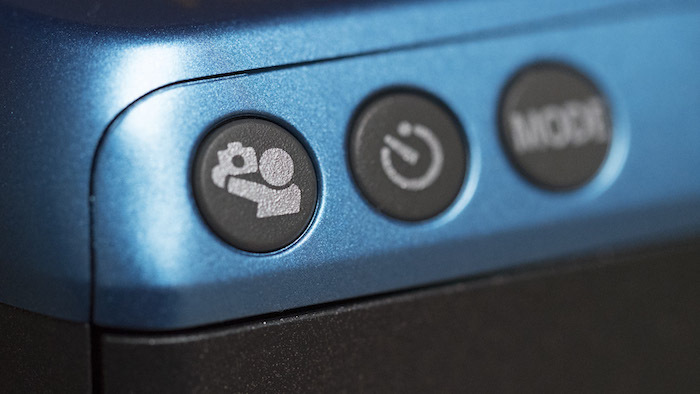 The very first step before you even go to take a selfie is to turn the camera on by pressing the on/off button on the rear. Make sure you’ve inserted two CR2 batteries of the same brand, loaded a pack of Instax Mini film, and ejected the black slide that protects it. 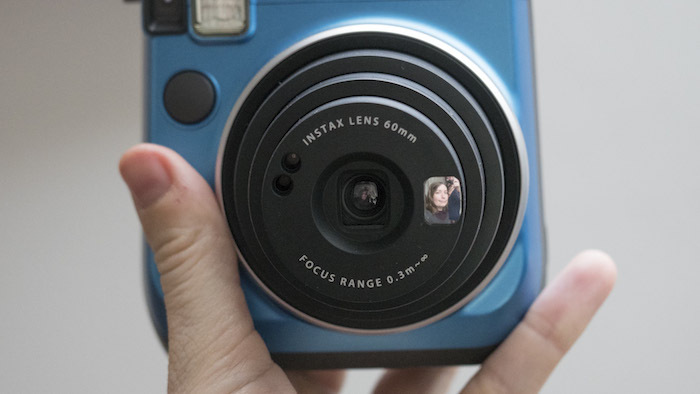 >> Find out more about how to load the Instax Mini 70 with film here. 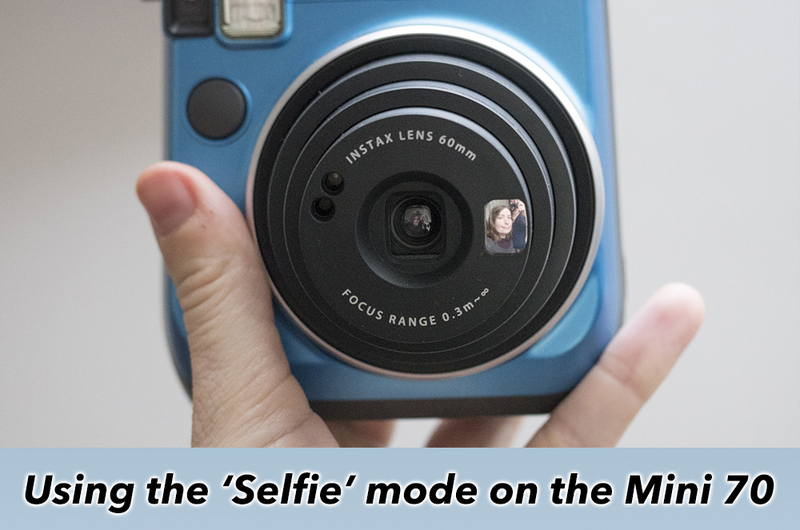 To take a good selfie, you must first reduce the focus range of the lens by pressing the dedicated “Seflie” button on the rear of the camera. As soon as you press it, you’ll notice that the lens will extend a little, effectively changing the focus range from 60cm–3m to 30cm–60cm. 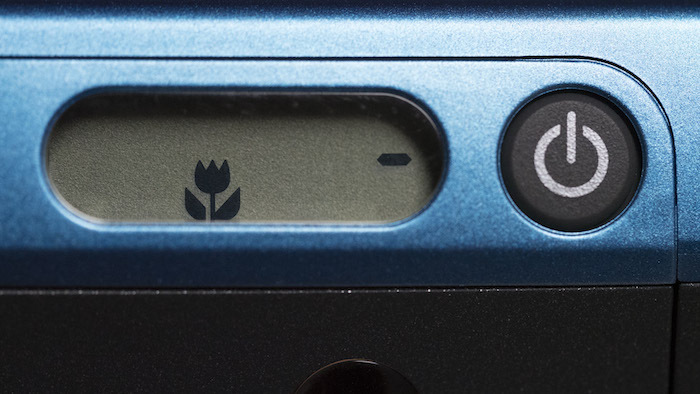 Note: The Macro mode functions in the same way as the Selfie mode in that it reduces the focus range of the lens. You can use either when taking a selfie. Hold the camera out at arm’s length so that your face fills the mirror with some room to spare around the border. If you hold it too close to (less than 30cm) or too far away from (more than 60cm) your face, the picture won’t be in focus. In my experience, you can achieve the best results either indoors or on a cloudy day. 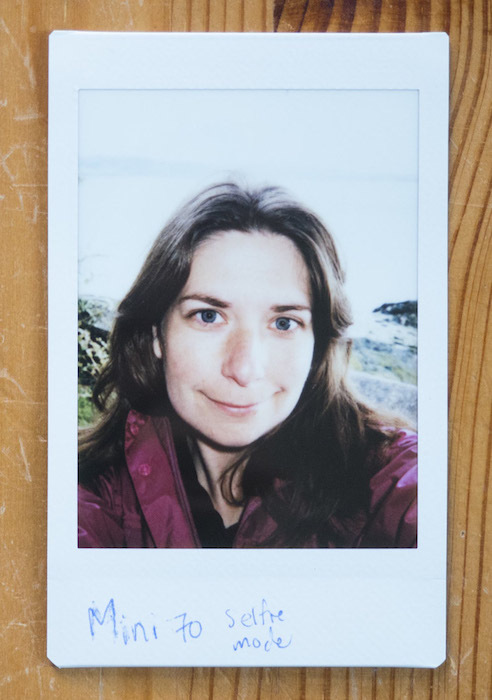 On bright sunny days, the strong ambient light combined with the flash can sometimes wash out your face and/or the background as you can see in the example below. You can also take group selfies with the camera but I’ve found that one or two people is the ideal number. Any more than that and it becomes difficult to fit everyone in the frame. If you want to take a group shot with three or more people, your best bet is to deactivate the Selfie mode, set the camera up on a tripod or any other flat surface and use the Timer mode. 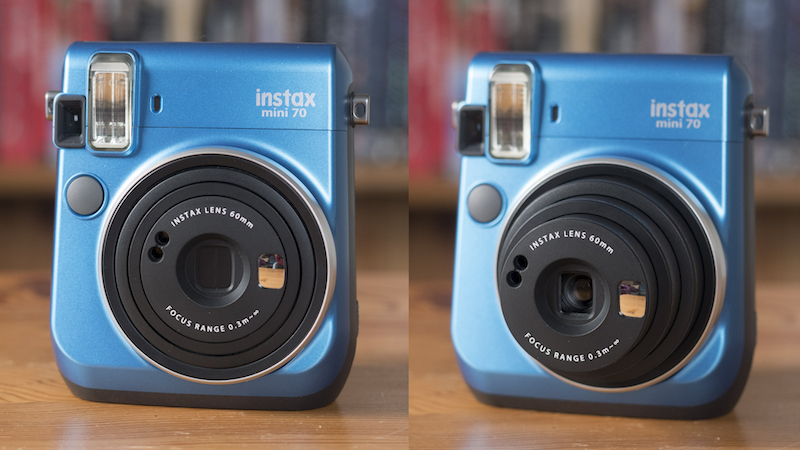 >> Find out more about the Timer mode in our full review of the Mini 70! Good luck, happy snapping and remember to leave a comment below if you have any questions!